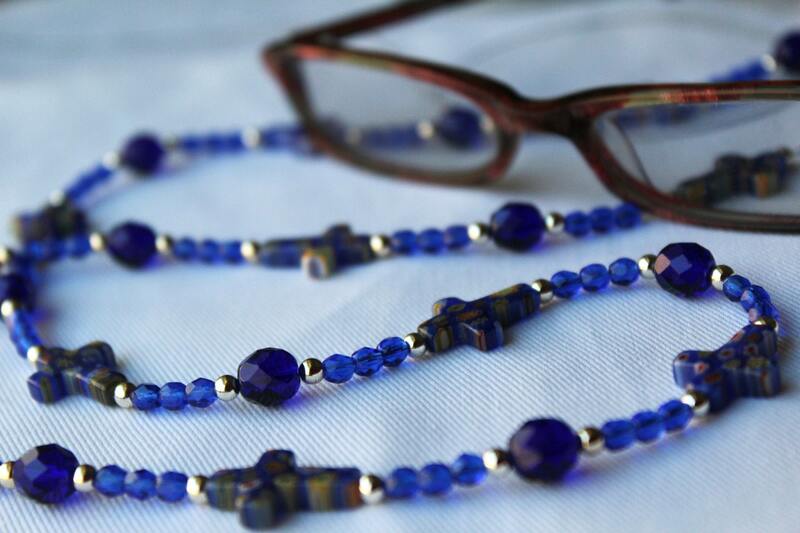 Beautiful cobalt blue crosses, accented with tiny silver colored beads, make up this stunning eyeglass chain. 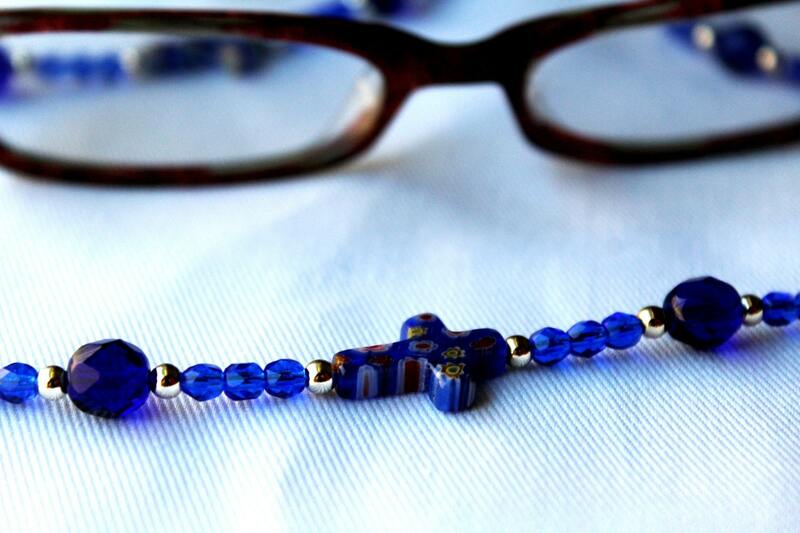 The cross beads used in this piece are approximately 18mm Millefiori Beads. They are inspired by an Italian glasswork technique that produces items that are unique and detailed. If not for yourself, this item makes a wonderful gift. It is a different form of religious jewelry that is beautiful, spiritual, and useful. This made a wonderful gift. This is the second one of this style that I have purchased.